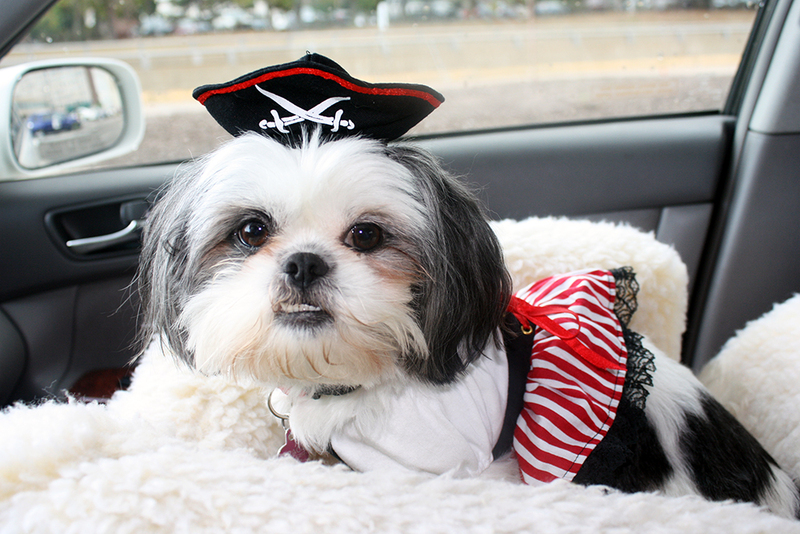 Ahoy all my anipals! It’s Halloween! Mama and I hope that everyone has a safe and fun filled Halloween. We have been sick in bed all week. Mama has the flu . 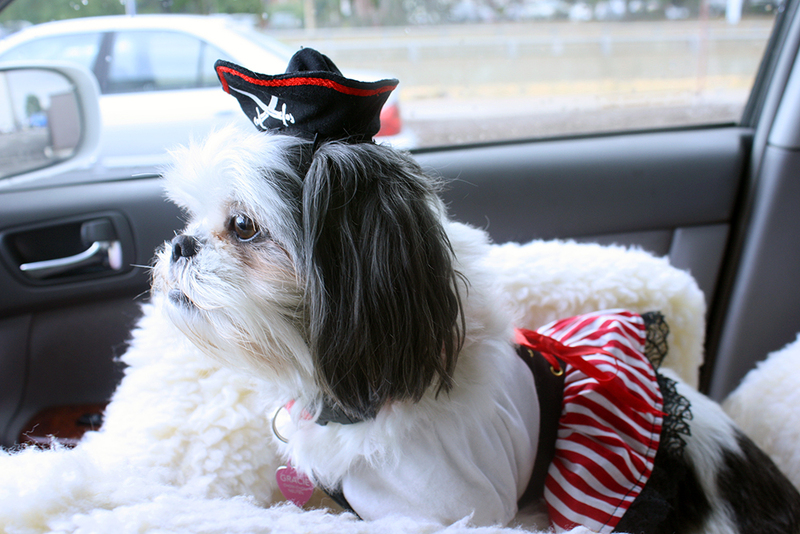 . . but we got up just to post these adorable photos of me in my latest costume. 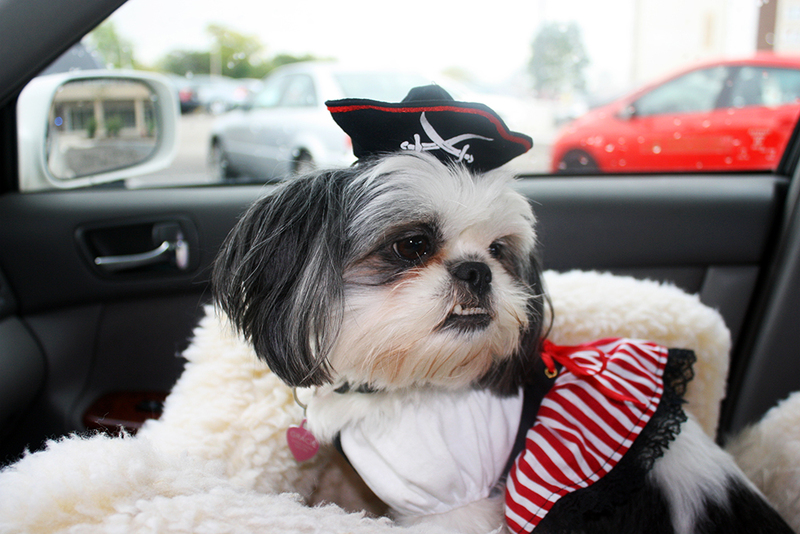 I was a Pirate Queen. Thanks to the nice folks at Wayfair.com for providing the costume. You can buy it here. 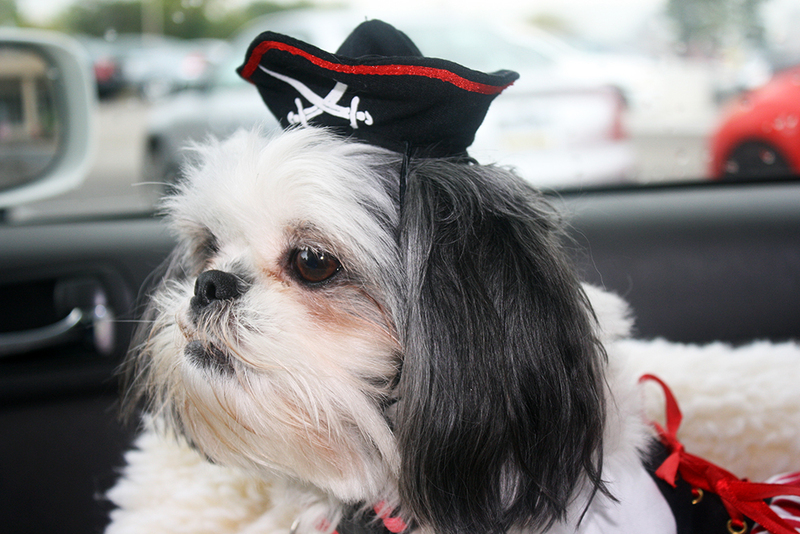 I am sad to inform you that we have lost the super cute pirate hat. It fit around my ears, but unfortunately, it fell off… somewhere, and we have no idea what happened to it. But I did look super cute and pirate lady-esque while wearing it. I think I looked rather stylish. The entire outfit was held together by velcro, so not too hard to put on. I wore the outfit comfortably for a week. Hope everyone gets lots of yummy treats this Halloween! Happy Howloween, hope your mom feels better soon!